Discover the best kept secret in Pueblo at the Microtel Inn and Suites by Wyndham Pueblo hotel conveniently located off Interstate 25 just steps from Southern Colorado Gaming and Event Center. The Pueblo Family Fun Center is just a mile away, and the Colorado State Fairgrounds three miles away. If you are in town for an event, the Pueblo Convention Center and the Sangre de Cristo Arts and Conference Center are both five miles away. Find great food and drinks at Finish Line Sports Bar and Grill next door. Enjoy modern amenities at affordable rates at this lodging with fax and copy services, complimentary parking, and laundry facilities. 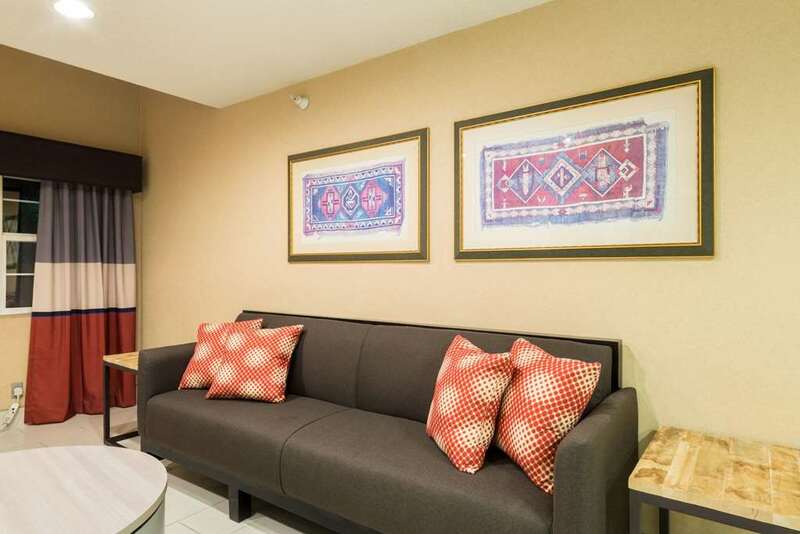 Wake up to complimentary continental breakfast, and read the complimentary newspaper while connecting to the complimentary wireless Internet. Stylish guest rooms include 32-inch flat-screen TVs. Smoke-free and handicapped-accessible rooms, as well as suites with refrigerator, microwave and sleeper sofa are available. Pets are welcome at this lodging.